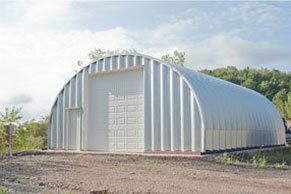 Commercial steel arch buildings and metal garage kits. commercial and retail use with secure exteriors and adaptable interior space. Do you need a building for a retail store, warehouse or office building? 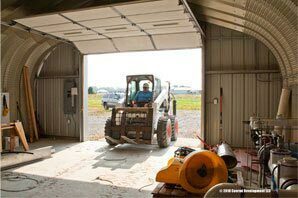 P model metal garage kit and S model metal arch building kits are ideal for setting up your facility. 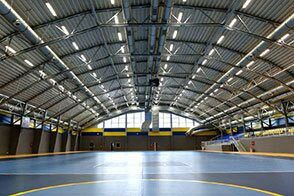 With 100% usable interior space without the obstruction of rafters or beams you can easily lay out and set up your commercial space by installing shelving, counters, lighting and anything you need wherever you need inside the building. Create a pleasant environment with heating and A/C. 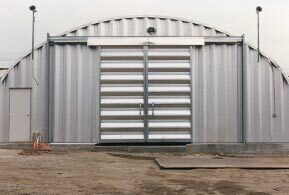 The security of a pre-engineered metal building system of 14-22 gauge steel and heavy duty roll up doors provides a safe building for your business and inventory. 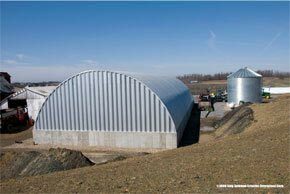 Commercial steel arch buildings are practical because of the low material, component and construction cost and they can also be disassembled and moved to another location without sacrificing the integrity of the structure. 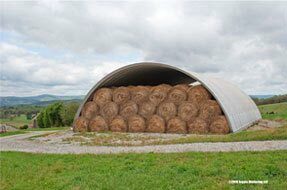 Commercial application our customers have used the steel arch building for are trucking, warehouses, retail, agriculture, manufacturing, storage, fertilizer and production facilities. 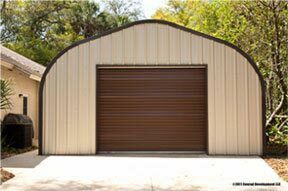 Customize your commercial steel arch building with wide overhead doors for stocking the warehouse with pallets or inventory, insulated walk through doors for customers or windows for natural lighting. You can even customize your end walls to represent your products or brand. Inside the arch building you can install custom interior walls onto the metal side walls to compliment your commercial business. Within the vast space inside you can install cubicles, storage or conference rooms with custom dividing walls. 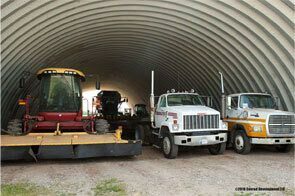 Metal Building Kings’ metal arch buildings are also perfect for shipping facilities and steel distribution warehouses. 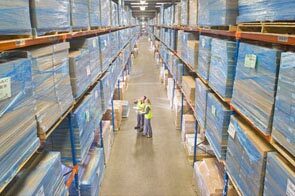 Store pallets of products as high as 20 feet high and have the ability to maneuver folks lifts around your building. 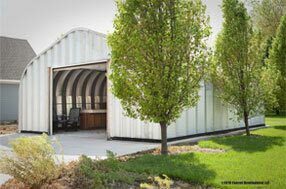 As with all of our metal building kits, you get the highest industry standards and our guaranteed low cost steel buildings prices. Expansion is much easier than traditional wood structures. All you have to do is unbolt the end walls and add more arches to lengthen the space as you need to expand your business. 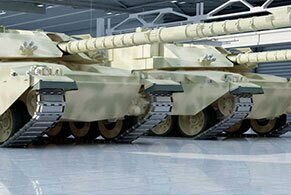 Choose from a variety of widths, heights and lengths and gauge of steel and design your metal garage kit using our online building calculator. Erecting your structure requires no special tools and can be done with as little as four people in just days with our easy to follow instruction manual and the assistance from our trained customer service staff. Go here for a quick guide to assembly. Your Metal Building King arch building is coated with AZ55 Galvalume® - which is comprised of aluminum, silicone and zinc, a state of the art coating to help prevent rust and comes with an industry best 40 year rust-through perforation warranty and a 40 year warranty against peeling paint, flaking an loss of adhesion. 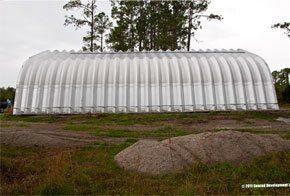 The pre-engineered design withstands severe wind and snow loads and is virtually maintenance free.